You can break out your ugly sweater on December 1 and head to 6th Street in Austin for their 12 Bars of Christmas Bar Crawl. The first stop is the Blind Pig Pub where you'll receive a 16 oz. Santa Stadium Cup, Santa hat, and wristband, as if your ugly sweater wasn't loud enough! Make sure to get to the pub by 4 p.m. to make the cut, though! Tickets start at $20, but if you register as a group (four or more people), you can cut the price down to $18 per person. Not quite an ugly sweater party per se, but you can rock your craziest Christmas PJs at the Annual White Party on December 14 and help raise money for the Andy Roddick Foundation. This event at Austin's Vulcan Gas Company boasts to be as tacky as any, so it's definitely worth getting your Christmas PJ set ready to attend; admission is $20. For some great tunes, head to Rainey St. on December 14 for their Winter Wonderland Ugly Christmas Sweater Party. They have a long lineup of DJs to keep the party going all night as well as a charity raffle and live art exhibits. Admission is $10, which includes a free drink for those 21 and older. Two words: ugly sweater. Two more words: bar crawl! Head to Rainey St. again on December 15 for their Annual 12 Bars of Christmas. The entry fee is $5 plus an unwrapped toy as all toys will be donated to kids in the Austin area. Costumes are technically optional, but ‘tis the season so you may as well take the opportunity to sport your ugly Christmas sweater. These ugly Christmas sweater parties in Austin are bound to get you in the holiday spirit leading up to the big holiday. 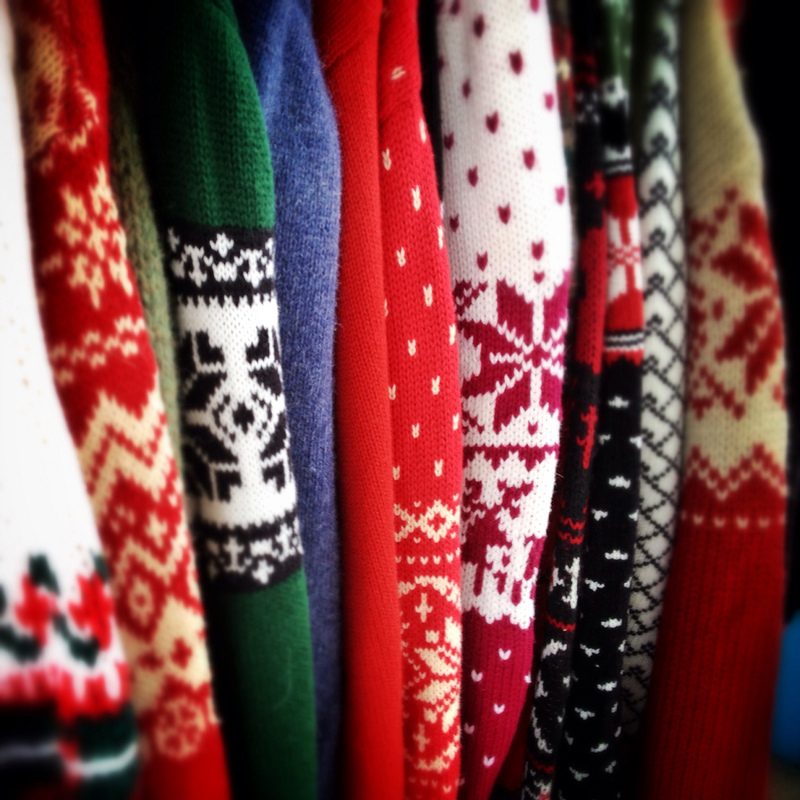 If you don't already have an ugly sweater, you can easily find them at any department store or thrift store. Find more Christmas events in Austin, by registering on 512area, your free guide to everything local in the Austin area.